nmprescribing provides the opportunity for nurses, pharmacists, physiotherapists, radiographers, optometrists, podiatrists, dietitians and paramedics to continue to be safe and effective Non-Medical Prescribers through access to Continued Professional Development, The benefits for patients are an avoidance of a delay in receiving medicines, a reduction in the amount of unnecessary appointments, reduced risk of hospitalisation and faster recovery. Without doubt this will give both NHS and non–NHS organisations value for money. It is estimated that Non-Medical Prescribers are saving the NHS in England an estimated annual £777 million, according to a December 2015 report commissioned by NHS Health Education North West. nmprescribing aims to enlighten individuals who have a responsibility of developing services within health providing organisations, as to what is required in terms of the necessary infrastructure needed to support the safe and effective development and implementation of Non-Medical Prescribing. This includes assisting with policy development and policy upgrades. This will then aid the organisation in its ability to comply with necessary safety standards during assessment. We will be holding our 2019 Non-Medical Prescribing Conference on Friday 1st November at the Holiday Inn in Gatwick. "I have known Fiona since 2004 and we have worked together on a variety of Non-Medical Prescribing projects. 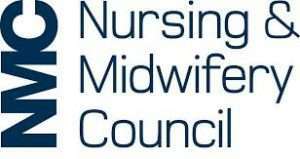 We both sit on the Nurse Prescribers Advisory Group, responsible for advising health departments on the list of drugs and appliances that can be prescribed by registered community practitioner nurse prescribers. Fiona has a wealth of experience and insight into the implementation of Non-Medical Prescribing. Her passion and enthusiasm to ensure registered Non-Medical Prescribers maintain their competency to prescribe is evident from the reputation she has achieved in providing continued professional development nationally since 2007"
"I have worked with Fiona on multiple projects for over a decade. 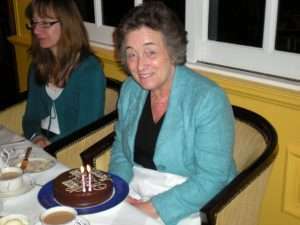 Her passion for educating and supporting prescribers is well known and her enthusiasm in these fields is evident. She is a well-known personality within the field of Non-Medical Prescribing and is respected as one of the leaders developing this field of practice"
Professor Matt Griffiths, Independent Consultant Nurse, Advanced Nurse Practitioner. 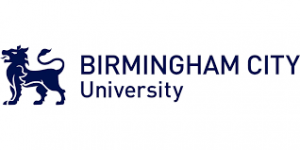 Visiting Professor of prescribing & medicines management, Birmingham City University. "Are you looking for training or updates on medicines management issues and non-medical prescribing? Do you have a query about medicines management or non-medical prescribing? Then Fiona Peniston-Bird is the person you need. Having known Fiona for over 10 years I have found her to be knowledgeable especially on all matters related to Non-Medical Prescribing and should you have any special requests on matters relating to this, she will seek to find the experts who can assist her. This is how I came to meet her and then to work for her. Being the resourceful person that Fiona is, she has now recruited my husband and me to join the Prescribing Programme Board at Medway School of Pharmacy, as patient and carer representatives. This also demonstrates Fiona's ability to think laterally as we can use our life's experience to contribute to the programme. Fiona is also very flexible, hence I have traveled all over the UK to deliver the courses at times and in places to suit the client. To Fiona nothing is impossible! If you require a course or have any queries regarding Non-Medical Prescribing or medicines management then Fiona is your answer." "Our staff have recently attended two prescribing study days that you have arranged "The Jury is Out" and "Safety First, Prescribing in Co-Morbidities" the feedback from them is that both days were absolutely fantastic. The days were well run, the speakers were extremely knowledgeable in the area that they taught and kept attention all day. 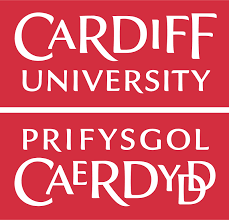 It is so easy to work with you Fiona, and all the courses have had brilliant evaluations." "I would just like to say how much I enjoyed the conference earlier this month. It was very interesting, well organised and professional. The speakers and their presentations were excellent, as was the idea to have their presentations given to us on a disc. The content was appropriate especially the BNF talk. The venue was well chosen being in the heart of London and the catering was good. It was well worth the fee. Good work Fiona and a big thank you." "I just wanted to reiterate that this is a fantastic evaluation - you should be proud!! It was a great day and judging from evaluation scores and comments your hard work has been well worth it." 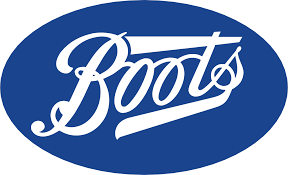 "Fiona was commissioned to do some work for Boots in relation to enabling Pharmacist Independent Prescribers to safely use their qualification. The group of pharmacists who were involved positively evaluated the work that Fiona did. Fiona was professional and extremely knowledgeable in what she delivered, and did exactly what she was asked to do ensuring effective delivery of specified outcomes. I would use Fiona's expertise in the future to support the development of Pharmacist Prescribers." "I have known and worked with Fiona for many years. In all of this time Fiona has diligently and effectively worked to a high standard, meeting timescales, and always achieving the objectives agreed. She has considerable depth of knowledge and a commitment and passion to driving the Non-Medical Prescribing agenda. I have always been able to depend and rely on Fiona both personally and professionally. I am delighted and consider it a privilege to be able to know and work with her. I would certainly not hesitate in working with her to continue to improve the developments within Non-Medical Prescribing." "I don't believe there is anyone who really knows and understands non-medical prescribing like Fiona does. Her passion for all things NMP is infectious. I love attending her workshop and conferences. She is the consummate professional, with every little detail thought through. She always manages to get really interesting speakers and creates the right atmosphere for learning, sharing best practice and simply having a great day out!"